No need of extra tile. We can rectify the cracking issue. Our artists are highly trained to fix the cracking problems. Most contractors or builders install all the tiles and they don’t leave any extra tile after the completion of their job. It’s almost impossible to get the similar color of tile. If you have an extra tile, then we can replace it, else we can repair the cracked tile with Sentura- a 2 part solvent based flexible epoxy/resin. Experience a shower without any crack. An innovative approach to rectify the cracking issues – We even color the Sentura to match it with the pigment of the installed tile. 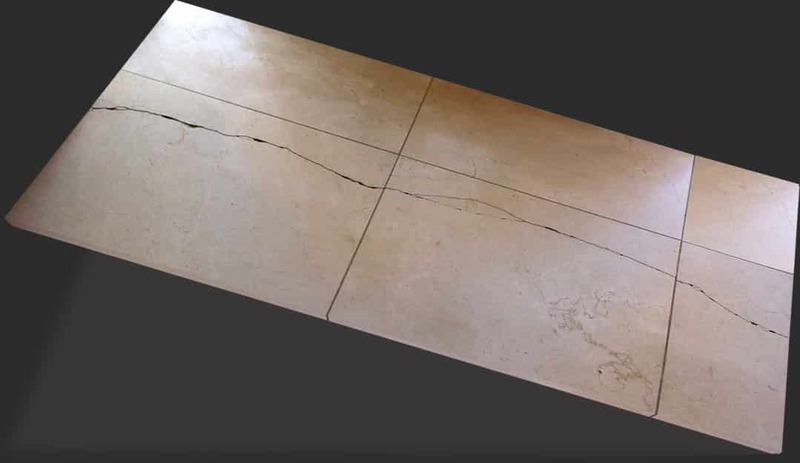 The cracks of natural stone can be hidden easily due to their different color shadings. Our artists use Sentura designed with a 1200psi adhesion, protecting every edge of the tile strongly – even the best adhesion can’t deliver the result like Sentura. 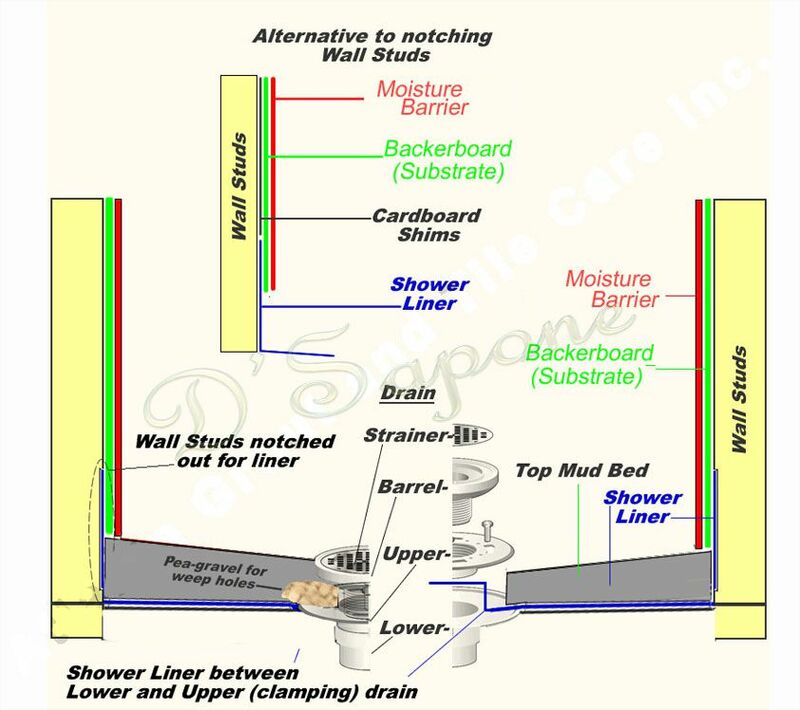 Why efflorescence takes place in showers? 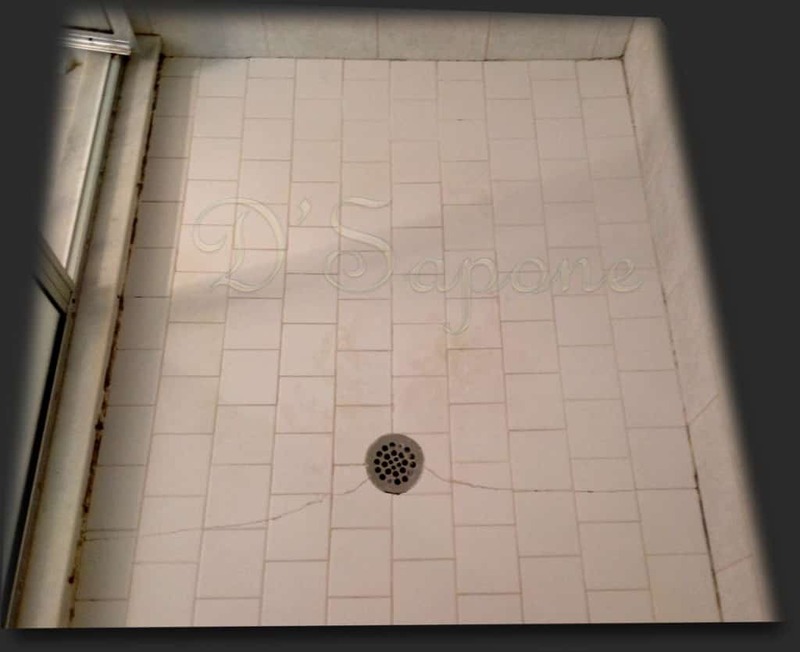 The given image shows why efflorescence develops in your shower. Just see the top of the concrete that needs waterproof membrane, but here it is not available. Apart from this, pre-slope is also not provided underneath the mud bed. Their absence prevents water from draining to the weep holes properly, as well as the mud bed will not dry out. 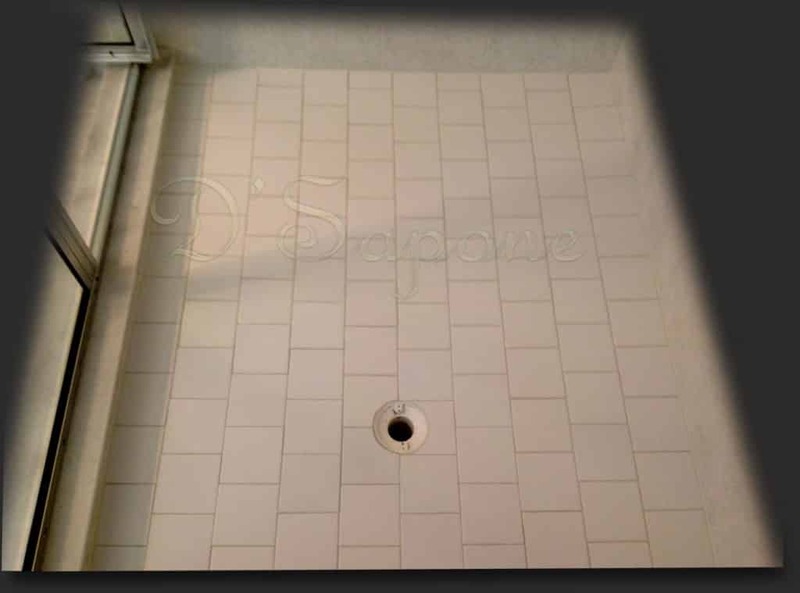 The grout lines and tile crack due to the presence of efflorescence. After repairing the cracked tile, we cover the damaged grout lines with Caponi® and then, apply Sentura in the corners to prevent the effect of water. 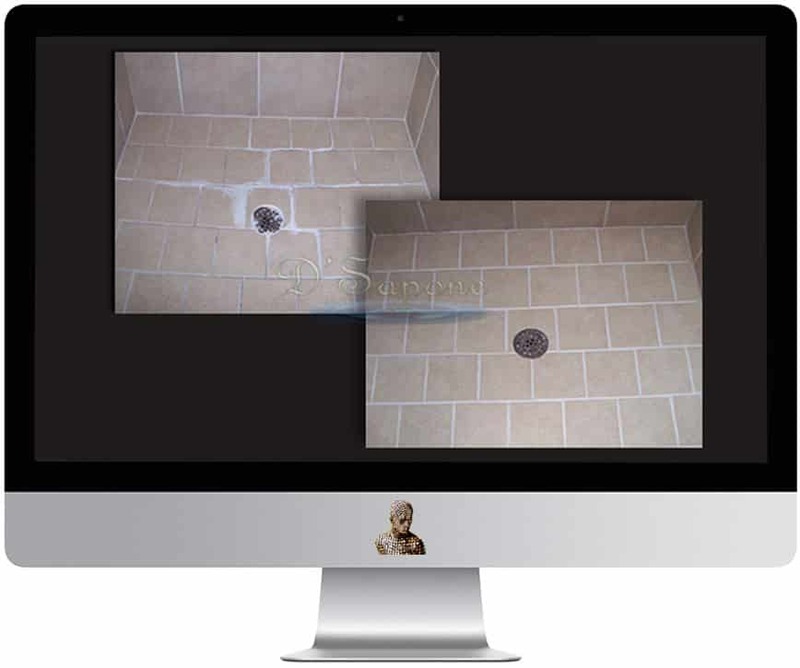 Cracked tile is not a pretty site as it causes headaches. Receive an estimate from a D'Sapone® artist, who will complete the entire process. 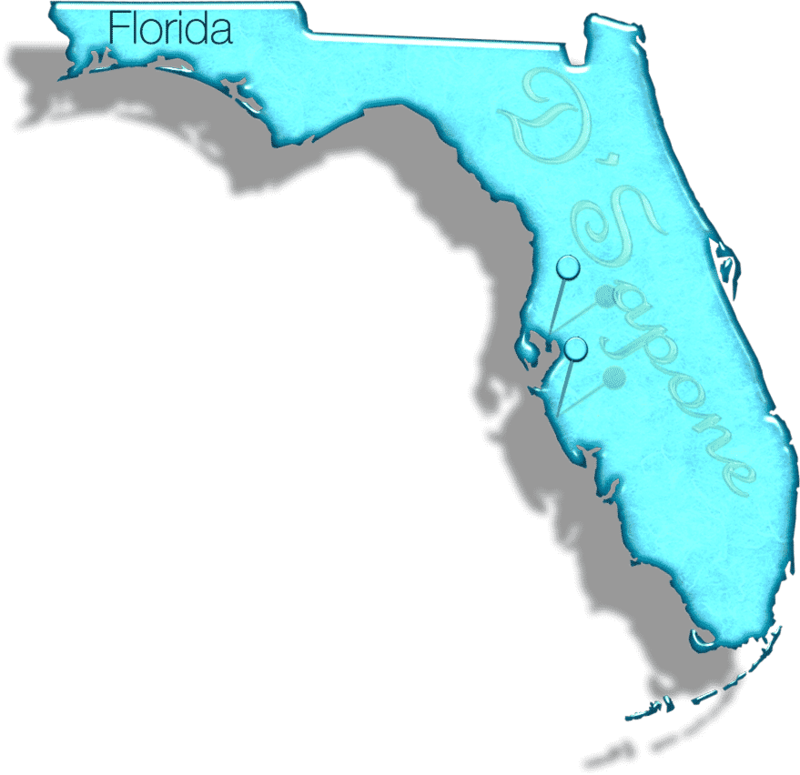 Sarasota and Tampa, just email us the pictures and our server will calculate the rest.